Management makes all the difference. Team members who exhibit a high level of performance, responsibility and decision-making abilities are promoted to Team Leaders and work directly under the Front Line Managers. These managers-in-training help ensure that your parking and hospitality services run smoothly and efficiently. 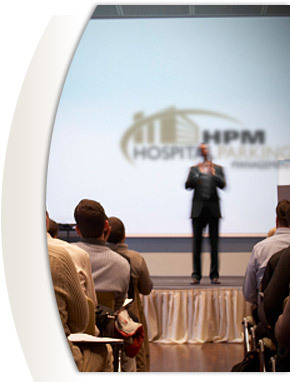 Our managers are required to attend a unique management-training program, HPM-IT, designed to create the best hospitality managers in the business. The HPM-IT training program ensures that smart decision-makers are on the frontline of service at your facility. Our comprehensive approach to management training provides your facility with the service and performance to deliver patient and visitor satisfaction, leading to a more professional and organized parking operation.